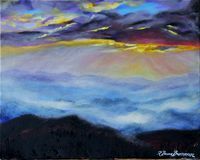 Contemporary artist R. Bruce Brennan channels luminous, atmospheric imagery in his impressionistic landscape paintings in oil on canvas. "The fluid movement of sky and earth entrances my very being to be a part of that flow and dance that goes on in my view of the world. 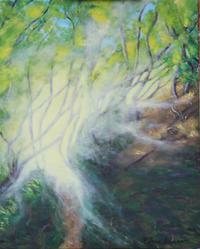 This is what I try to bring to my art, with my conscious stream with paint, color, hue and texture." R. Bruce Brennan.